Putting children with complex aerodigestive conditions at the center of collaborative care. Aerodigestive diseases involve disorders of the respiratory and digestive systems, including the mouth, throat, lungs and esophagus. The best approach to treating these disorders is combining the expertise of several specialists. 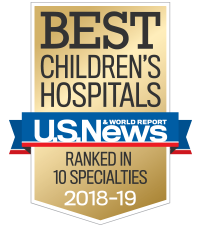 With one of the only pediatric aerodigestive centers in the Southeast, Children’s has the expertise to treat children and young adults from across the region who have the most serious aerodigestive issues. When patients visit our clinic, they see physicians and specialists from multiple areas who work together to provide the best possible care. Our team monitors patients’ progress and performs joint appointments, procedures and surgeries. This helps to minimize travel time, days out of school or work and anesthesia time. Contact us at 404-785-1161 for more information.